There’s a lot of misinformation out there about China. IS CHINA a global superpower? Are its citizens oppressed by communism? Can Beijing contain Pyongyang? There are a lot of myths about China - many propagated by the party's own state media. But what's real and what's not? Here are some of the major myths surrounding China debunked by experts. China's defence budget has maintained double-digit growth since 1995. Recently, the Communist government announced an 8.1 per cent increase to 1.1 trillion yuan. Given that China currently boasts the second-largest military budget spending in the world - behind only the United States - it's easy to assume the country is now a global superpower. But National Interest argues that in order to constitute "superpower", a country must be able to project their military capabilities globally. 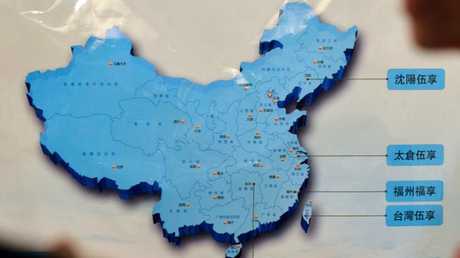 China, the article notes, remains more or less bound to East Asia. Its artificial military constructions on the South China Sea are controversial, but they are vulnerable to attack and offer diminishing returns for operations beyond the Nine-Dash Line. In other words, they're limited to the region around China. The article also notes that China has not fought a war since 1979; its military remains untested and its officers don't have the same combat experience as its US counterparts. All things considered, it could be decades before China is capable of projecting military power on a global scale. 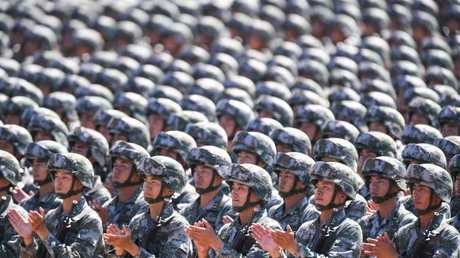 China’s military defence budget may be growing, but that doesn’t mean the country is a global superpower. That said, a top Pentagon official recently warned the country's military might is growing. Earlier this week General Robert Ashley, Director of the US Intelligence Agency, warned China is "developing and fielding numerous advanced, long-range land-attack and anti-ship cruise missiles, some capable of reaching supersonic speeds, operated from ground, air, ship, and submarine platforms". He also said China is working on a bomber with a nuclear mission, which would give Beijing a nuclear triad of land, air and sea-based nuclear weapon systems. Beijing has argued that its territorial pursuits in the South China Sea, as well as its claims over Taiwan, Tibet and Hong Kong, are historically justified. Experts say China sees its rise to power as a return to "the natural order of things" - they basically believe this is their fate or destiny. The country also sees itself as Asia's "father figure" - a central patriarch of sorts. 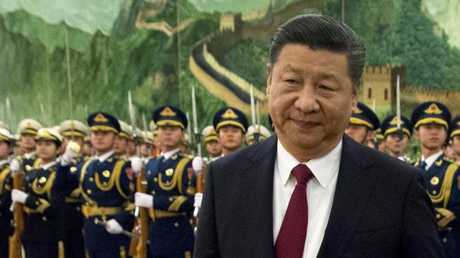 This is a view that stems from the highest level of government - President Xi Jinping - down through to the poorest ranks of the country's 1.357 billion population. Experts say China sees its rise as a return to “the natural order of things”. This is not the case. Writing in The Australian, former head of China analysis for the Defence Intelligence Organisation Paul Monk dismisses this as "complete nonsense". "It is simply untrue to say that China's borders have been fixed in place for any length of time since, say, the era of the warring states between the 6th and 3rd centuries BC," he says. "Second, very large swathes of them, as pointed out above, were annexed to a Beijing-based regime by the foreign Manchus (the Qing dynasty) only in the 17th and 18th centuries." He also dismisses the idea that China was ever the world's "greatest power", saying that - in its better eras - it was simply among several states around the world with regional power. The Chinese Communist Party has ruled China since 1949, but much has changed since the end of the Mao dynasty. In the old days, the CCP controlled every aspect of every citizen's life, including where they could work and live. But individual freedom - while still regulated compared to that of western countries - has grown massively over the past three decades. For every social media app the Chinese government has censored - like Facebook and Twitter - the country has its own equivalent, like Weibo and WeChat. It's also relatively easy to bypass the Great Firewall with a VPN. China’s government may be communist, but individual freedom has grown massively in the past few decades. 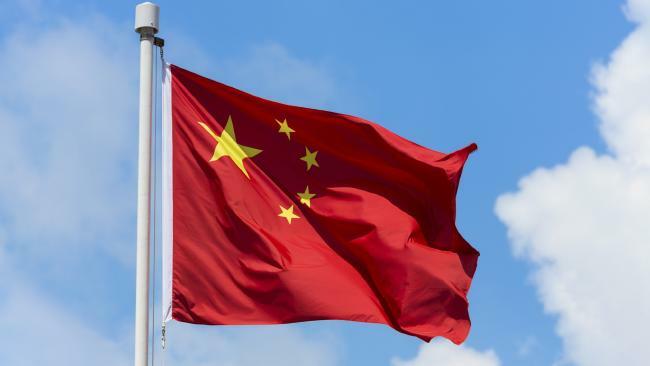 In a recent interview with news.com.au, Richard McGregor, senior fellow at the Lowy Institute and author of The Party: The Secret World Of China's Communist Rulers, said it was no longer technically accurate to call China a communist country. "In the simplest terms, China is not a communist country but it has a communist government," he said. China and North Korea share a long border, several millennia of history and deep ideological roots. Beijing is essentially Pyongyang's economic lifeline, responsible for most of its trade and oil. But the myth of Chinese power over the hermit state is just that - a myth. According to Associated Press, the neighbours operate in a near constant state of tension, a mix of ancient distrust and dislike and the grating knowledge that they are inextricably tangled up with each other. As China looks outward to Asia and the Americas, many resent being dragged down by the third-world dictatorship that is North Korea. The myth that China holds power over Kim Jong-un’s regime in North Korea is just that — a myth. Even The Global Times, China's Communist Party's flagship newspaper, downplayed its role in the crisis in an editorial last year: "Since the UN Security Council began to impose sanctions on North Korea in 2006, China has paid the highest economic and diplomatic price. China-North Korean relations started to chill at that time. It has been six years since top leaders of the two countries exchanged visits." This growing disdain is reflected in China's willingness to permit criticism of the North in the press, and to allow tougher sanctions at the U.N.
Beijing has suspended coal, iron ore, seafood and textiles from the North. 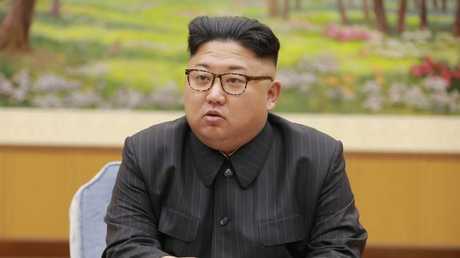 Although North Korea takes pride in its ability to absorb pain, be it war, famine, sanctions or condemnation, China's tougher line will rob Pyongyang of key sources of foreign currency. At the same time, China fears that the collapse of Pyongyang could mean North Korean refugees flood into its northeast after Seoul takes power of Pyongyang. During the Mao era, the Communist party famously proclaimed that "women hold up half the sky" on the state broadcaster CCTV. But the belief that gender equality exists in China is completely unfounded. On the latest Global Gender Gap Report, which ranks 144 countries on their progress towards gender parity, China ranked 100th. Yesterday, Reuters reported that Chinese women's rights activists were furious because International Women's Day was dominated by sales campaigns from online retailers, when it should have been used to make progress on issues like sexual harassment. A 2016 online survey of university students found that nearly 70 per cent of respondents, aged 18 to 22, had experienced some form of sexual harassment on-campus. Similarly, a 2013 survey by China Labour Bulletin found that 70 per cent of the surveyed factory workers reported being sexually harassed at the workplace. But unlike in Western countries, where large-scale protests and campaigns can and do take place, women in China face additional battles with an authoritarian government in power. In several cases of protest, the response of Chinese authorities has been simply to silence them. 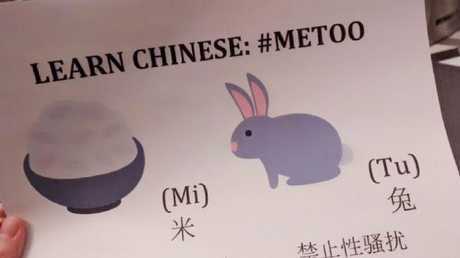 For example, the hashtag #MeToo was swiftly blocked on the Chinese internet shortly after it began to gain traction, prompting activists to adopt the code #RiceBunny instead. China's internet censorship against women's rights forced activists to use a secret code.